Do you like pizza? And what about cooking? Pizza cooking has never been so exciting and interesting. With this free attachment you can feel like a real pizza-maker. Get orders, fulfil them and climb your career ladder. Cover the whole hard way from a roadside café employee to a prestigious restaurant cook. Your efforts will surely be rewarded. 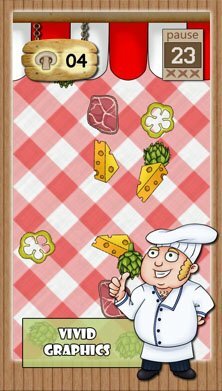 In this attachment you are offered six different outlets, where you’ll meet six cooks. You will have to convince them in your proficiency. 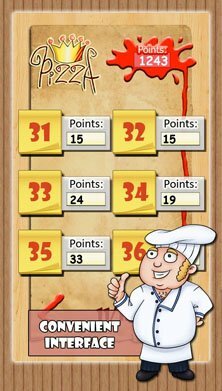 The higher the restaurant class, the more difficult and more interesting the tasks are. 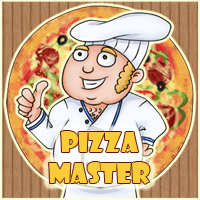 Enjoy the variety of pizza recipes and contribute to cooking masterpiece creation.